Is a high-performing luxury vehicle on your horizon? 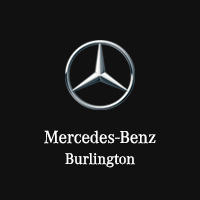 Consider the new Mercedes-Benz AMG® models for sale under $70k near Hamilton at Mercedes-Benz of Burlington! With various model lineups and four distinct trim levels from which to choose on each, you certainly have your work cut out for you in picking out the right vehicle for you. Allow our dealership to help you out once you’ve made your decision! If you’re wondering what it would mean to own a new Mercedes-Benz AMG® model that costs less than $70k, then the answer is simple: thrilling. AMG® models are built to push the threshold of standard performance, with models like the Mercedes-Benz AMG® GT that boasts a 4.0L V8 engine allowing it to sprint to 62mph in under four seconds. The emphasis on sporty performance continues inside the cabins of AMG® models, with seating and driver information displays geared toward sports car labeling. In any case, shopping among the new Mercedes-Benz AMG® models under $70k at Mercedes-Benz of Burlington opens you up to a whole new standard of driving.